In honor of President’s Day, we take a look at the Rolex watch that the 34th President of the United States chose to wear for several decades. 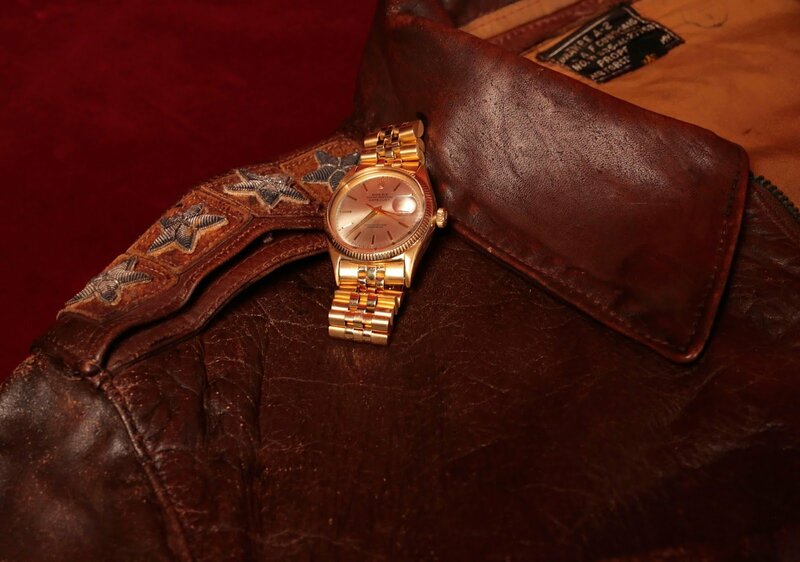 Discover the story behind Dwight David “Ike” Eisenhower’s Rolex watch. First, let’s clear up some myths. President Eisenhower did not wear a Rolex President, a.k.a. a Date-Date, but rather, his Rolex was a solid yellow gold Datejust. Remember, the Day-Date only made its debut in 1956, while Ike received his Rolex in the early 1950s. Also, when he received the watch, Eisenhower was not yet President, but a five-star General in the United States Army. He served as President from January 20, 1953 until January 20, 1961. Now, let’s back up a bit. In 1944, Rolex produced their 50,000th officially certified chronometer and presented it to Henri Guisan, the General of the Swiss Armed Forces during the Second World War. Four years later, in 1948, Rolex produced their 100,000th officially certified chronometer, which was a Datejust, and this time, the timepiece was destined for none other than the famed Winston Churchill. So in 1951, when it was time for Rolex to find a worthy recipient for their 150,000th officially certified chronometer, they envisioned no better candidate than General Eisenhower. In a series of back and forth correspondence between Rolex’s Director René Jeanneret, a mutual contact named Nana Rae, and the office of General Eisenhower, the company sought out to see if General Eisenhower would accept the gift. General Eisenhower accepted graciously. 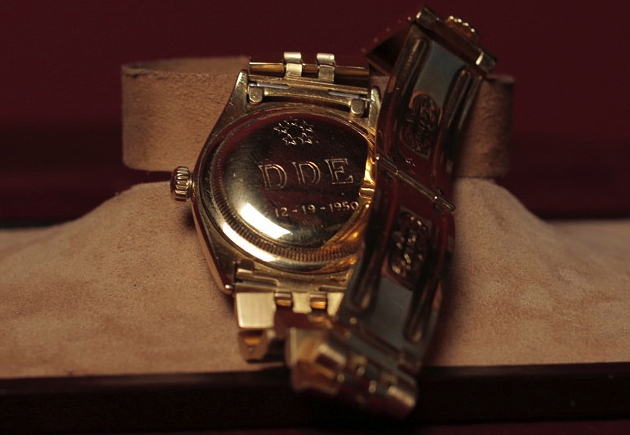 Following another round of letters, it was determined that the watch’s caseback would be engraved with five stars to represent the General’s five-star rank, his initials, D.D.E, and 12-19-1950—the date that General Eisenhower was appointed the Supreme Commander of the North Atlantic Treaty Organization (NATO). Plus, his initials are also engraved into the bracelet clasp. The specific reference of Eisenhower’s Rolex is the Datejust ref. 6305. It has a 36mm yellow gold Oyster case along with the classic yellow gold five-link Jubilee bracelet. On the silver dial, we see the iconic date window, which in this example displays red numerals. There’s of course also the famed Cyclops magnification lens on the crystal just above the window. The silver sunburst dial is, in fact, a service replacement dial as illustrated by the “T SWISS T” markings below 6 o’clock. Rolex only began using tritium as a luminescent material on their watches in the mid-1960s, which is well after Ike was gifted his Rolex. The watch gained plenty of attention when General Eisenhower wore it on the cover of Life magazine, published July 12, 1952. The following year, he took office. President Eisenhower wore his beloved Rolex Datejust for decades until he gave it to his dear friend and personal valet, Sergeant John Moaney. When Sgt. Moaney died in the late 1970s, he left the Rolex to his wife, Delores Moaney, who was also the personal cook to the Eisenhower family. The historic Rolex Datejust was eventually sold to Raleigh DeGeer Amyx, a noted collector of presidential and other important American memorabilia. 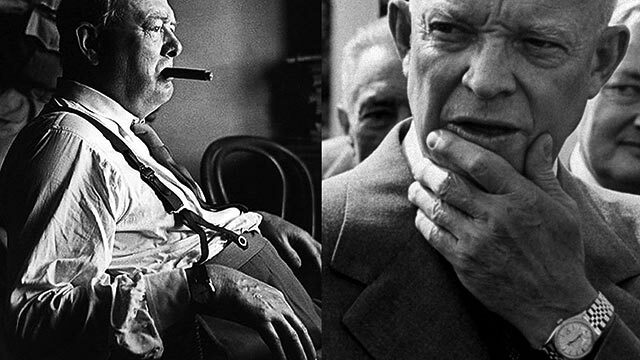 In 2014, Dwight D. Eisenhower’s Rolex Datejust ref. 6305 was put up for sale at a public auction. However, despite a hyped up media campaign, the highest bid of $475,000 failed to meet the lot’s reserve. Perhaps the watch fare better in today’s red-hot auction market for historically important Rolex watches? While Eisenhower’s Datejust is not technically a Rolex President watch, it is a President’s Rolex watch.